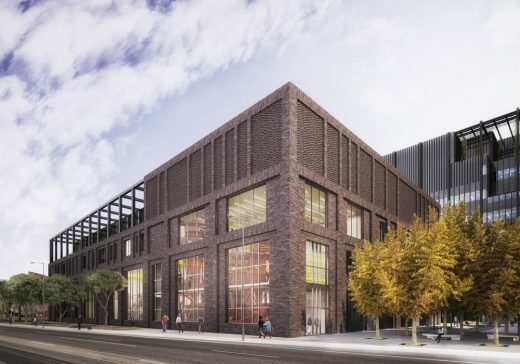 The University of Manchester has received planning permission from Manchester City Council to create a £350 million engineering campus designed by Dutch architecture practice Mecanoo. 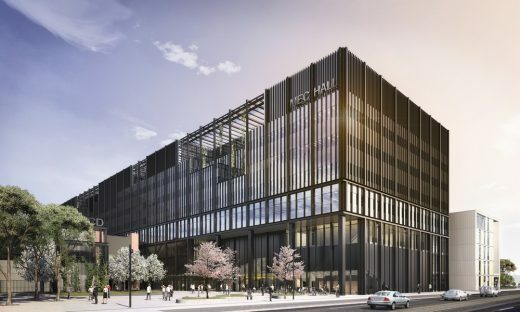 The new engineering campus will be a Manchester landmark, celebrating engineering within the world’s first modern city. 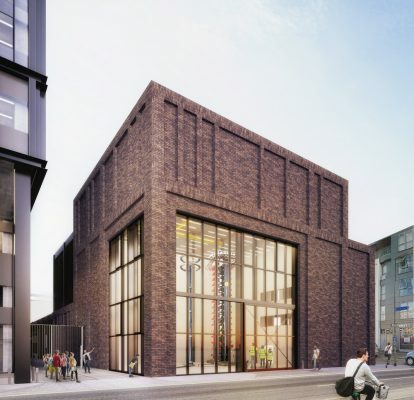 Announced last year, the Manchester Engineering Campus Development (MECD) will be one of the largest, single construction projects ever undertaken by a higher education institution in the United Kingdom. The development will transform the way in which the University educates future engineers with inspiring, modern facilities. At 195 metres long, the development’s main building – MEC Hall – could easily accommodate Manchester’s tallest building, Beetham Tower, laid sideways. 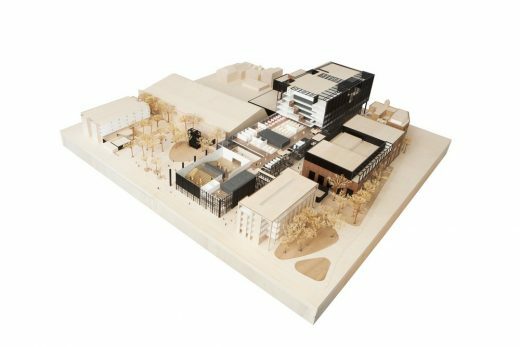 The development – due to be completed in 2020 – is part of the University’s campus masterplan to create a world-leading campus. 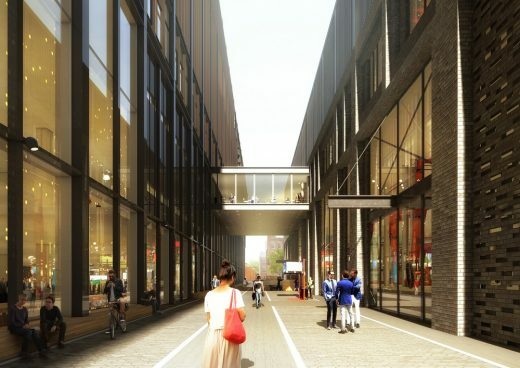 This flagship project will bring together a multi-disciplinary engineering and scientific community and consolidate the University’s student campus around Oxford Road. 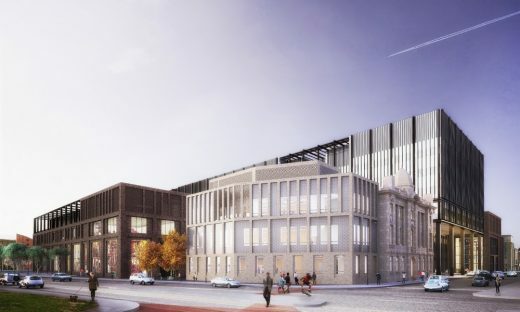 The new campus will heighten the visibility and accessibility of the University’s world-changing engineering and applied science activity, and facilitate strong engagement with industry, local schools and the wider public. 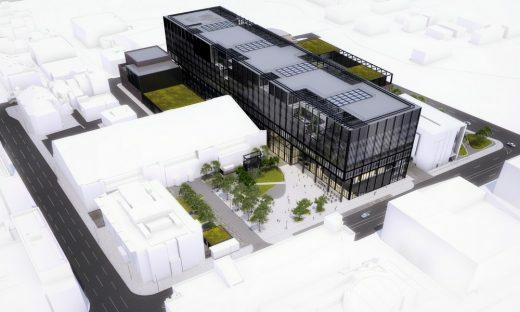 The new campus will help demonstrate how UK engineering is one of the most creative industries in the world with a focus on users building, making and doing. 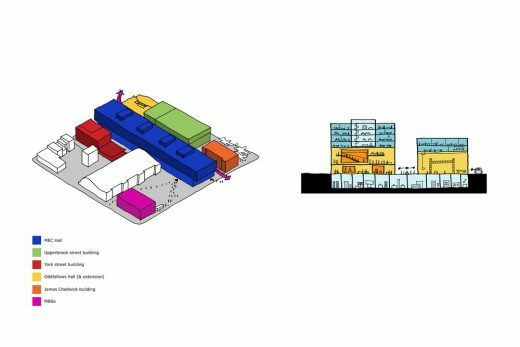 A key feature on the ground floor of the main hall will be dedicated ‘maker spaces’: dynamic workshops in which students and academics will share ideas and work together. 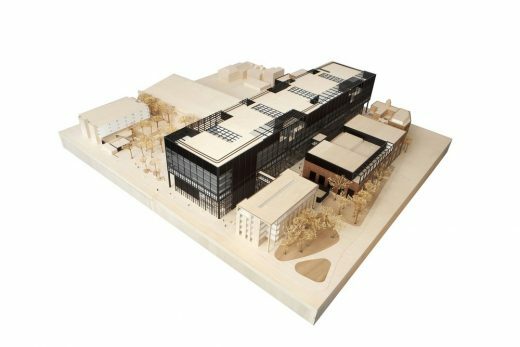 The scheme boasts flexible labs, bespoke project areas and interactive learning environments to support innovation, creativity and collaboration on a completely new scale. Once complete, MECD will become home to the University’s four engineering schools and two research institutes from the Faculty of Engineering and Physical Sciences. It will include 70,590 m2 of modern teaching spaces and facilities that reflect the changing demands of students and staff for mobile and flexible working. Cutting-edge technologies will enable students across all disciplines to engage with new modes of teaching. Demolition on the site is currently underway and main construction works are scheduled to begin later this year.